I hope to be on 23 cm myself by the end of 2017. Great stuff! How do you get on 23 cm 1296.2 MHz USB for SOTA activations without forking out loads of dough for an ICOM IC-910 or IC-9100? 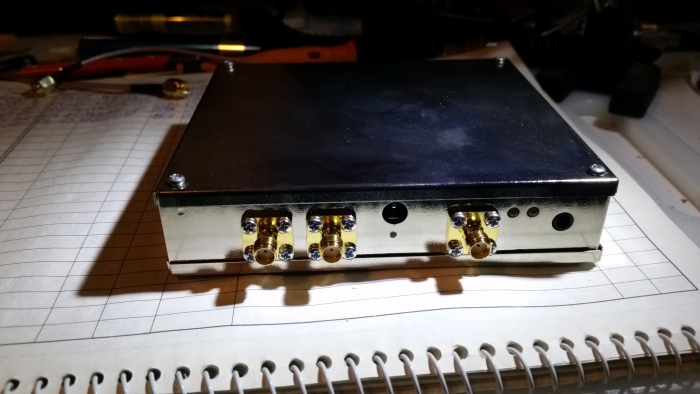 Answer a lightweight all mode 2.5 watt 23 cm transverter from Hristiyan LZ5HP in Sofia Bulgaria. The current unit on offer is version 2.3. SG-Lab all mode 2.5 watt 23 cm Transverter version 2.3. The parcel arrived after 13 calendar days between Bulgaria and Canberra Australia, pretty good considering the transition points along the way.